Proper lighting including floor coverings, furniture and other decorative accessories is the key to an attractive and elegant home décor. Proper lighting fixtures improve the ambience of your home and make it appear even more beautiful. While there are numerous lighting fixtures available, chandeliers, particularly are the most attractive and stylish of them all. Chandeliers were earlier used for ornate dining rooms and entryways, but have now been in use inside other rooms including bedrooms. A chandelier that suits the dimensions of your room will simply work wonders. 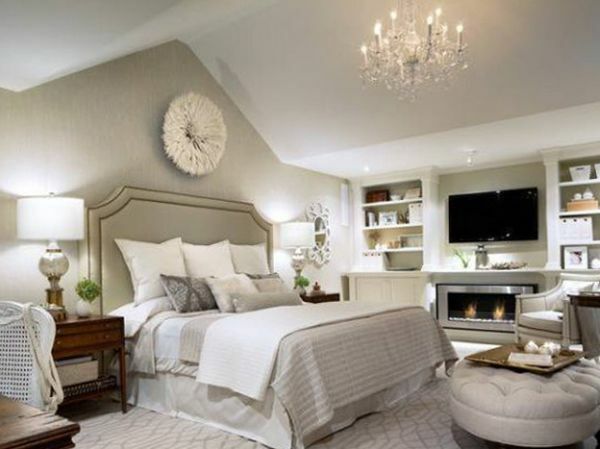 Read below to know important tips to select a proper chandelier for your bedroom. Size of a chandelier plays a very important role to bring out the best decorative and functional appeal. 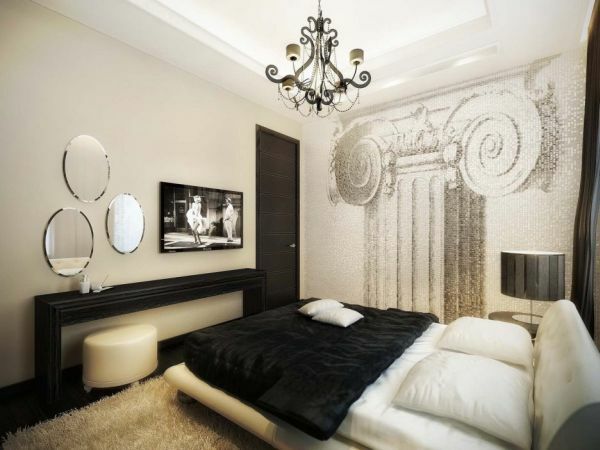 The height of your bedroom walls and its size are the factors that determine the size of the chandelier. While taller ceilings look best with large size chandeliers, smaller rooms require hanging of two or more smaller chandeliers. Chandeliers are available in a huge plethora of styles and designs that beautifully compliment your bedroom décor. You can pick any type of chandelier right from the iron-made that looks extremely classy and stylish to crystal-made that glitter gorgeously. Likewise, for a trendy and chic décor you should go for a whimsical and funky light fixture. You can even add beauty to your existing chandelier by various ways such as using wall dimmers to control intensity of light and create mood, covering the chain of the chandelier with an extra long and elegant fabric that will give it a bouquet-like appeal or by using decorative chandelier lamp shades. Chandeliers are available in a plethora of metal finishes all of them of which are simply stunning and attractive. The one you choose should match your bedroom décor and theme and should even compliment your furniture. To have a complete effect try painting your chandelier so that it suits the color scheme of the bedroom and its accessories. 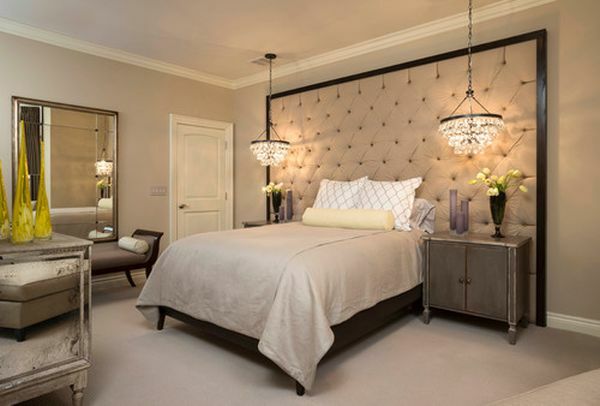 The function and purpose of your bedroom chandelier is the most important thing to be considered before finally installing it. Whether your chandelier is a part of your bedroom’s ambient lighting or it simply is used for decoration – this plays a major role in selecting its appropriate style and design. For ambient lighting, it is suggested that you have a shorter chandelier with large, non-shaded bulbs whereas; chandeliers for decoration and mood lighting should be used with dimmers to control the intensity of light for relaxation and intimacy. Position the light switch such that it is easily accessible. Y x 1.5 = total wattage required to light the room. As already stated the type of your room décor determines the type of your chandelier and other lighting fixtures. 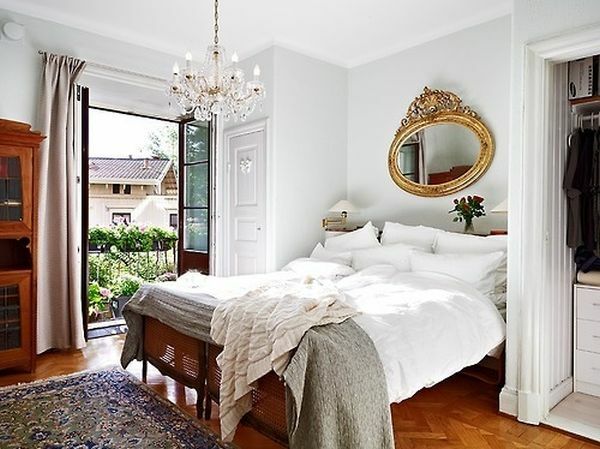 Crystal bejeweled chandeliers look best in a traditional bedroom whereas chandeliers made of antlers are suitable for a western style one. You can even enhance and modify the look of your chandelier with objects such as floral garlands and hanging tassels. For your chandelier to work best both practically and aesthetically, the most important thing is its placement. If you are desirous to illuminate the entire room, you should try hanging the fixture right at the center of the ceiling. For creating an interesting focal point place it just ever the bed or the headboard. You can even hand small chandeliers over the bedside tables for late night reading or can use them to enlighten your dressing table. 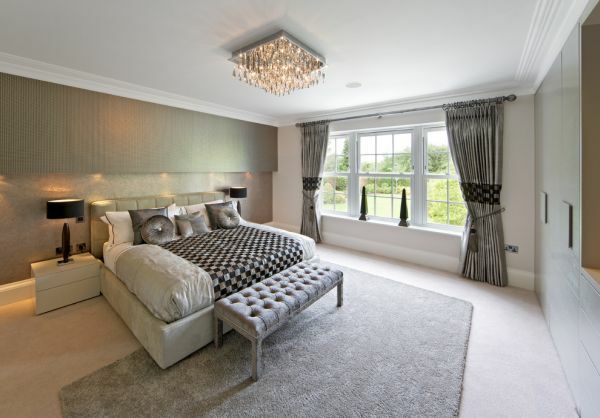 A bedroom is not just meant to sleep it is one of the most comfortable and intimate areas of a house which needs to be properly illuminated. Chandeliers are both, a decorative accent and a useful lighting fixture that can greatly enhance the look of any room.